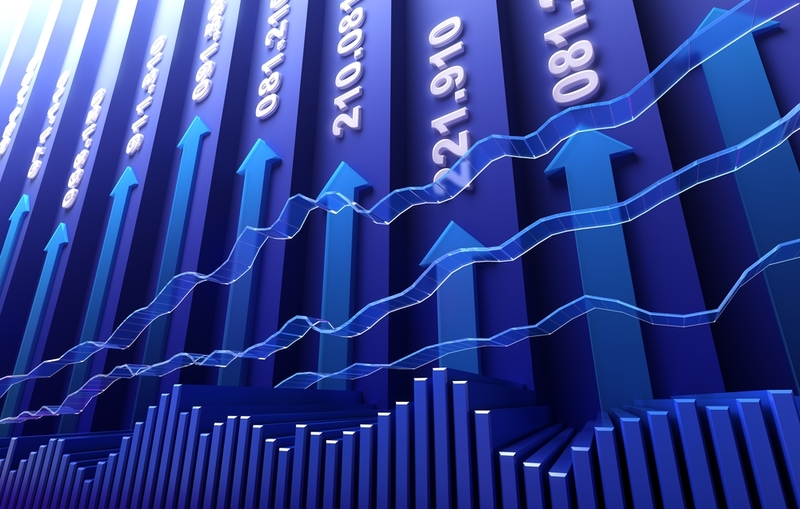 Fourth Quarter GDP Revised Up From -0.1% to 0.1%… The measure of overall U.S. production in the last quarter of 2012 was revised slightly higher, from a minimal loss to a minimal gain. This means nothing… or everything, depending on how you look at it. A change of 0.2% means the underlying components like imports, government spending and inventories were slightly massaged. Who cares? But in the larger picture, this number speaks volumes. The best we can do is 0.1% growth? That’s what we got for another $85 billion in money printing? That’s what we got for a government that is borrowing $1 of every $3 it spends? I’m not sure how much more of this good news we can take. 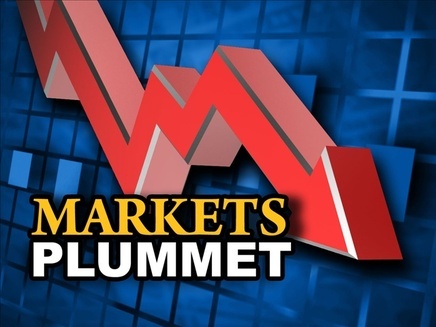 Fed Tells Market To Go Higher… In his prepared statements to Congress, Fed Chairman Ben Bernanke expressed concern that last week’s comments surrounding the possibility of less Fed intervention caused a selloff in the markets. This put in jeopardy bankster bonuses, lobbying dollars that have flowed to Washington, as well as his own credibility as a master economic magician able to levitate anything he wants. So Bernanke quashed any notion of an early exit… or really any exit at all… from QE. The markets promptly returned to the nosebleed section, based on nothing more than the words of a man with a printing press in his pocket. OK, the part about him being mad at the markets for moving lower is something I made up. I think. Sure seems likely though. Durable Goods Up 1.9%… The measure of the purchase of goods that last more than three years, less transportation (airplanes), increased by almost 2%. Finally – a good, clean number! Durable goods are things like cars and washing machines. To see the purchase of such items rise is a good sign. To note that the U.S. manufacturing of such items is picking up at the same time is also a good sign. If you want to know where the action is, pull up a map of shale gas exploration and recovery. Rents are high, unemployment is low and car dealership sales are brisk in those areas. Chicago PMI Up From 55.6 to 56.8… The purchasing managers’ index for the Chicago region is well above neutral, which is 50. Managers indicated growth in orders as well as backorders. Like the durable goods figure, this is a positive sign. What must be remembered about PMI indices is that they are diffusion indices. These numbers represent how many purchasing managers are answering questions positively or negatively about a lot of different aspects of business (backorders, new orders, inventory, prices paid, employment, etc.). Such measurements do not tell us the quantity of items being reported. Every manager could report a rise in orders, but if the rise is minimal for all, then it’s not very significant. To see the number over 56 and moving higher is good. We need confirmation of this through a better jobs report (announced on 3/8) and then GDP growth for the first quarter as well. New Home Sales at 437,000 Annual Pace, Well Above Expectations… Annual new home sales surged past expectations of around 390,000 and posted the highest number in years. There is no doubt that housing is important, particularly new housing, because of all the inputs for construction. That is why this number is not a cause for celebration. New home construction was around 650,000 units per year in the early 1990s. The number marched higher and hit a plateau of around 900,000 units per year in the early 2000s. The peak was 1.4 million units in 2005, which then fell to a trough of just over 300,000 in 2011. To have the number now poking above 400,000 is good, but it’s a long way from stoking the fires of employment. At the same time, this number was seasonally adjusted higher far beyond what has been done in previous January reports. There is a distinct possibility that capital gains taking in December 2012 (before tax rates changed) led to a lot of activity in home sales that would naturally translate into home buying in January. This is one month. We’ll see what the future brings. Consumer Debt Ticking Back Higher… Remember just a few years ago, when we had a huge debt crisis? Yep, so do I. It might seem logical that, after such a crisis, the last thing anyone would want is, well, debt. That is sort of true, and sort of not. Total consumer debt is actually moving a bit higher, even though mortgage debt (mortgages and HELOCs) is down. In fact, credit card debt is down, too. There is only one category moving up at light speed, student loans. We now have more than $1 trillion in student loans outstanding, while credit card debt is down to roughly $675 million. At this rate, our economy will have twice as much student-loan debt outstanding as we do credit card debt by the end of this calendar year. What’s more, 90-plus-day delinquencies on student loans are now higher (12%) than the same delinquency rate on credit card debt. Exactly how is this supposed to end well? 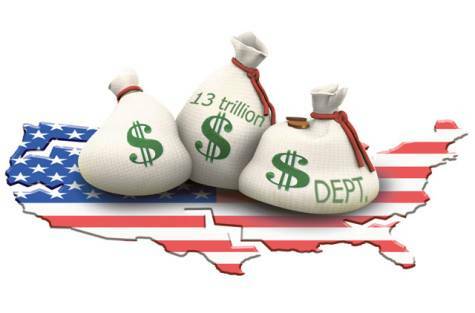 Sequestered Budget Cuts Are Here… The two parties could not agree on how to adjust, stop or otherwise amend the sequestered budget cuts that are a requirement of the 2011 debt-ceiling agreement. Per the agreement, the U.S. will face 9% cuts in discretionary spending programs across the board without the benefit of agencies or departments being able to choose what to cut. This is a lot like going to a school and demanding every classroom and administrative department cut 9% instead of simply discontinuing an AP class or a music program. The sequestered cuts are stupid in application, and they are the best we can do, which is sad. Tim Geithner to Give Financial Crisis Seminars… Our former Secretary of the Treasury is moving to his next gig. He will lead seminars about financial crises on college campuses. This makes perfect sense. Geithner ran the New York Fed for six years before joining the Treasury Department, so he has intimate knowledge about how to create a financial crisis. This knowledge is enhanced by his time at Treasury where he gave billions in handouts to banks, insurance companies, and union-backed corporations, then demanded that the central bank steal from citizens through the continued printing of new currency which, by way of regulation, all gets handed back to the Treasury for free. I can’t think of a better person to speak on the subject of financial crises. The only thing that would make this better is if he added on a course about how to compute your personal taxes. Italian Elections Scare the World… The Italian elections saw the return of Berlusconi, the rise of Bersani and the introduction of Grillo. These three factions have to work out a coalition or else the Italian government will grind to a halt. It was bound to happen. Eventually one of the euro zone nations of southern Europe was going to see its population strike back. They are tired of bearing the brunt of the payoff for bank failures. They are tired of tax hikes, job losses, benefit cuts and a lot of blabbering out of the European Central Bank about how great things are. We don’t expect this type of voter reaction to stop here. Instead, this should simply be the beginning of the backlash as citizens in other European countries pass judgment at the ballot box in the months and years to come. This Week… will be quiet when it comes to economic data reports, but it ends with a bang. On Friday, March 8, the U.S. releases its employment report for February. The trend has been an increase of around 160,000 jobs per month, which is barely enough to keep up with our population growth. We anticipate this report showing a just a touch of strength, but this is before the sequester. Look for unemployment to tick up in the months to come. NEW YORK (Reuters) – The payroll tax cut quietly expired at the end of 2012, and for many American families who are struggling to keep pace in a tight economy, that has raised questions of what to do. What is your buying power? The tax, which covers Social Security, is deducted from your paycheck automatically. 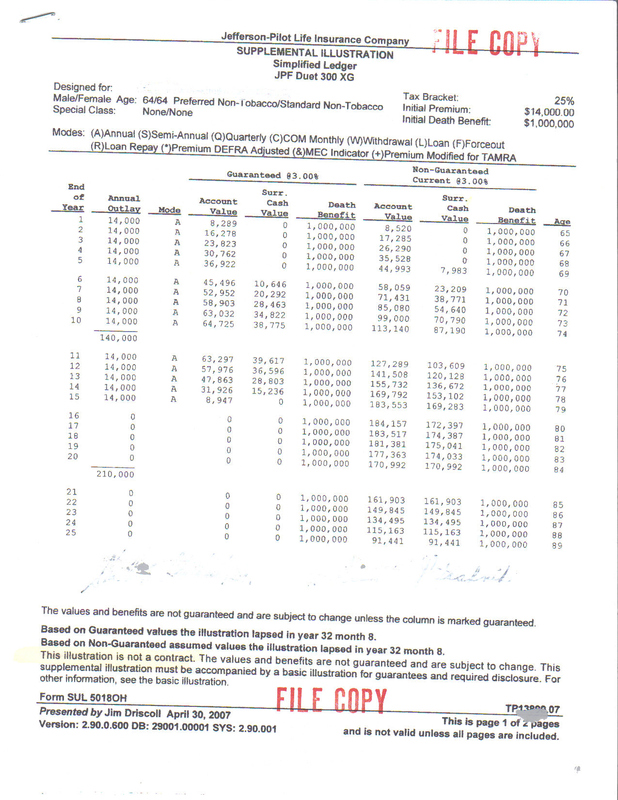 It is based on your income, up to a maximum of $113,700 for 2013. Income above that amount is exempt from Social Security taxes. A tax cut to stimulate the economy shaved 2 percentage points off the payroll tax, but now it has been restored to 6.2 percent. As a result, you will owe as much as $2,274 in taxes this year that you did not have to pay in 2012. From a tax perspective, the answer is, you can’t do much. “You can’t opt out of it, and your employer can’t reduce it,” said Tim Speiss, a partner at accounting firm EisnerAmper and head of the personal wealth advisers group. Changing your withholdings will not change the payroll tax you owe, but it may help smooth out your tax burden for the year. The Internal Revenue Service’s online withholding calculator (once it’s up and running for 2013 it will be available at (http://www.irs.gov/Individuals/IRS-Withholding-Calculator ) can help you come up with the right number. To change your withholdings, you would file a new Form W-4 with your employer. If you make $100,000, for example, you will owe $6,200 for Social Security taxes and $1,450 for Medicare taxes, regardless of what you do with your withholdings. At that income level, each additional allowance you take means, very roughly, more than $1,000 more annually in your paycheck – $20 a week – due to lower federal, state and local income taxes withheld. Be careful if you go this route. Your final tax bill in 2013 depends on your unique financial situation (whether you itemize or take the standard deduction, for example) as well as whether you are affected by the year-end tax changes (such as the new 3.8 percent Medicare surcharge). If you always get a big refund at tax time – as many taxpayers do – changing your withholdings may be a good way to keep money in your pocket now rather than loaning it to the IRS. For instance, if you got more than $1,000 back last year, and adding one allowance would mean roughly $1,000 back in your paycheck, you could access that money now instead of later. Depending on other changes in your financial and tax picture, however, it is unlikely to shake out quite that neatly. If you already owe tax in April or received only a small refund last year, however, Pesce warns that he would not advise changing withholdings to add to your paycheck. After all, come tax time, you would have to come up with the extra cash. You may be tempted to cut your contribution to your retirement accounts to goose up your paycheck to cover that 40 bucks a week, but it is not generally a smart move. Most Americans are already under-saving for retirement, and trimming what you put in now will have a much bigger impact down the road due to the power of compounding. That is especially true if you receive a matching contribution from your employer and wind up leaving it on the table – essentially walking away from free money. If you make $100,000, for example, and were putting aside 6 percent in your 401(k) – and your employer was matching at 50 percent up to that level – that’s $9,000 going toward retirement. Cut that savings to 5 percent, and the amount going to retirement falls to $7,500 – or $1,000 less that you would have put in and $500 less from your employer. Yet you will not see anywhere close to that $1,500 in your paycheck since part of it was from the match and part of it disappears as you lose the tax benefit of saving for retirement. If you are self-employed and owe estimated taxes, the payroll tax cut’s expiration means that you will owe more in tax this year than last, too. To figure out how much, you will need to re-do your estimated tax calculations before making your first quarter payment in April. The simplest (and most financially conservative) thing: calculate the extra 2 percent you will owe this year, divide it by four, and add that number – an extra $569, if your income is above the Social Security cutoff – to your quarterly estimated payments. Whether you would rather pay that now or later is up to you. Because of the way the so-called safe harbor rules work, as long as you pay 90 percent of the total tax you owe this year, or 100 percent of what you paid last, you generally will not owe penalties. Ask yourself if you really need the money lost to the payroll tax for living expenses. If the answer is yes, look at your discretionary spending. Can you cut your expenses by eating out less, or by not buying so many cups of coffee during the work day? More important, is your credit card debt weighed down by high fees that you would be better off trying to lower? Who else wants to be a Millionarie.? EXCELLENT VIDEOS TO WAS – ABOUT 5 MINS EACH.- WHERE IS THE ECONOMIC FUTURE GOING??? Now a modern day Willy Sutton is robbing retirements across america. JUST CALL OF EMAIL US & IT WILL SHIP IN TWO DAYS. when you follow a proven blueprint! Have you ever ... Felt frustrated seeing money disappear in the market? Concerned that you don’t know where to put your money to keep it safe? credit cards, bills and taxes? on the path to becoming a Safe Money Millionaire. The 117 year old ‘secret’ life insurance and ‘safe money’ financial tools that allow you to keep your money safely out of the market...while growing EVERY YEAR guaranteed. WARNING: What you are going to discover is NOT what Wall Street and traditional guru’s preach … so be ready for a totally different approach! Remember, there’s no obligation. I’ll be happy to answer your questions and give you a blueprint that could help you solve the biggest concerns and issues in your life today. 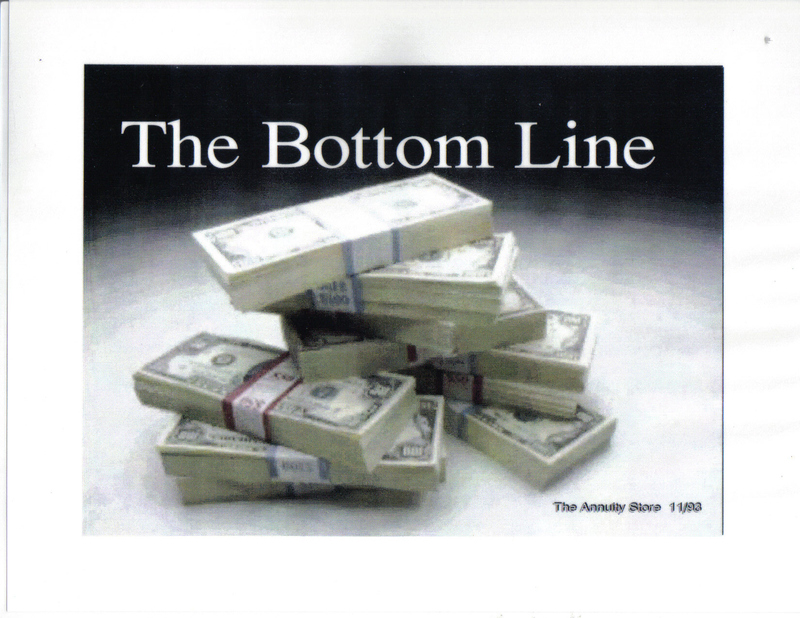 I think you’ll find it extremely exciting and liberating to see there is some light at the end of the financial tunnel! Sometimes, people can be so afraid of being sold something that they strangle their own deductive reasoning. I had a meeting with a handful of our affiliated agents last week. 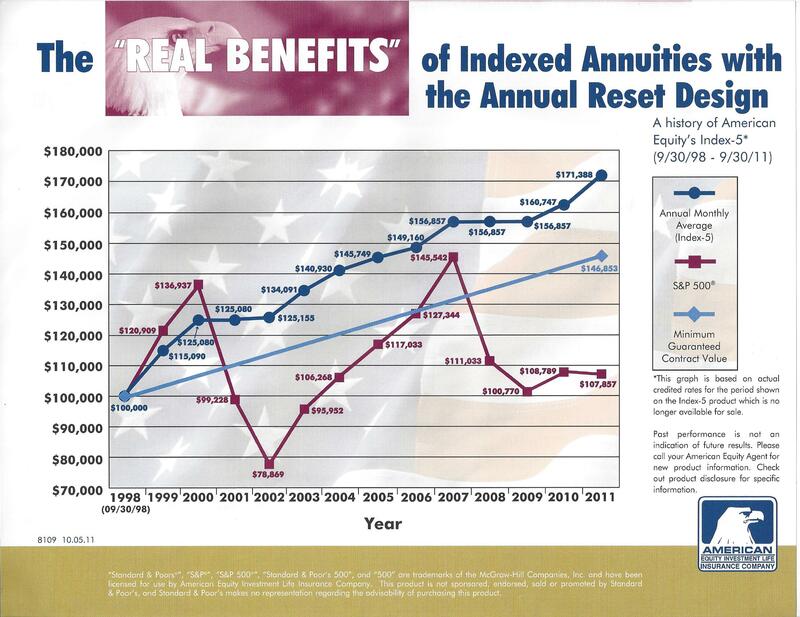 One of the agents said, “Carter, if people actually understood the mechanics of an Equity Indexed Annuity, everyone would purchase one!” I told him he was absolutely correct. 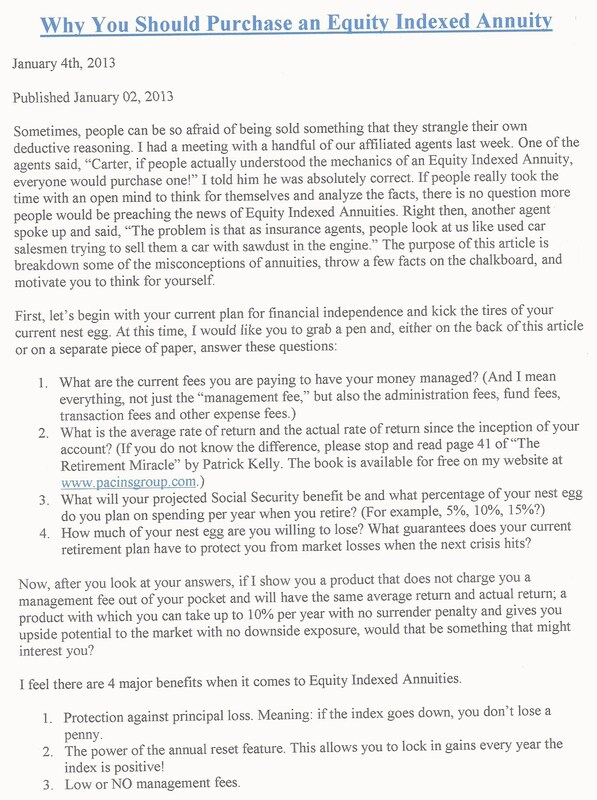 If people really took the time with an open mind to think for themselves and analyze the facts, there is no question more people would be preaching the news of Equity Indexed Annuities. 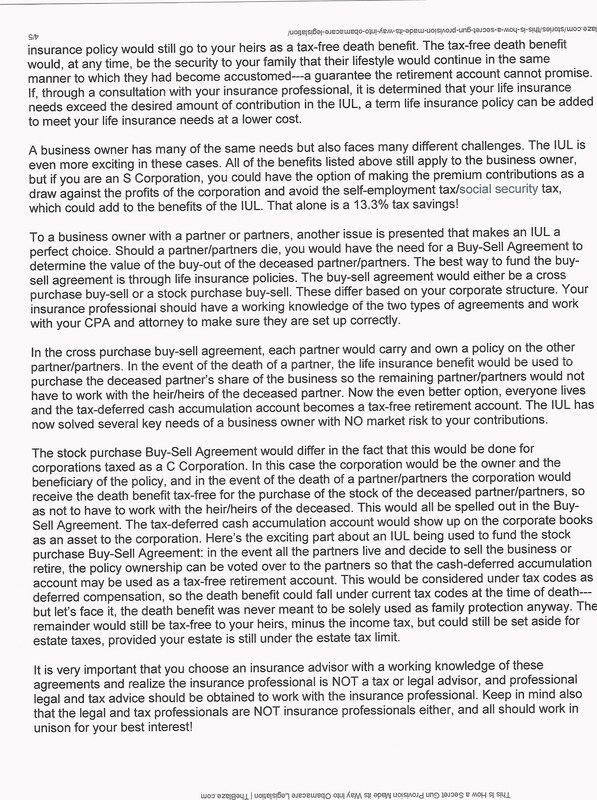 Right then, another agent spoke up and said, “The problem is that as insurance agents, people look at us like used car salesmen trying to sell them a car with sawdust in the engine.” The purpose of this article is breakdown some of the misconceptions of annuities, throw a few facts on the chalkboard, and motivate you to think for yourself. 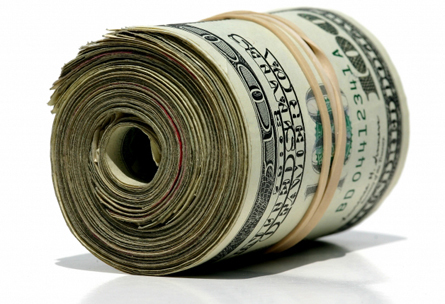 How much of your nest egg are you willing to lose? What guarantees does your current retirement plan have to protect you from market losses when the next crisis hits? Now, after you look at your answers, if I show you a product that does not charge you a management fee out of your pocket and will have the same average return and actual return; a product with which you can take up to 10% per year with no surrender penalty and gives you upside potential to the market with no downside exposure, would that be something that might interest you? 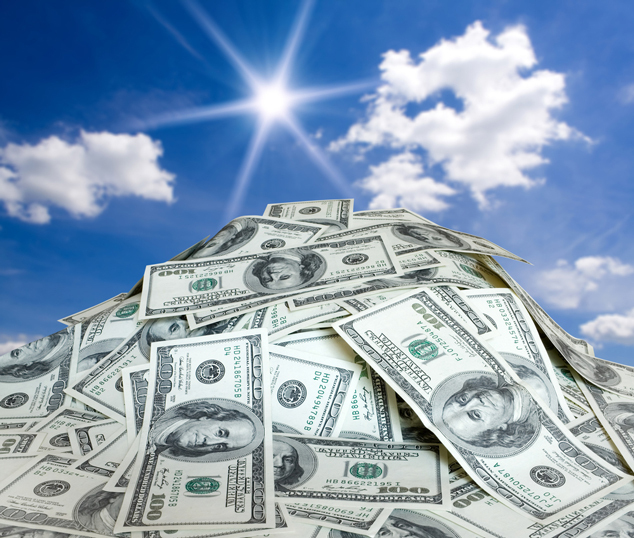 I feel there are 4 major benefits when it comes to Equity Indexed Annuities. Protection against principal loss. Meaning: if the index goes down, you don’t lose a penny. The power of the annual reset feature. This allows you to lock in gains every year the index is positive! Low or NO management fees. 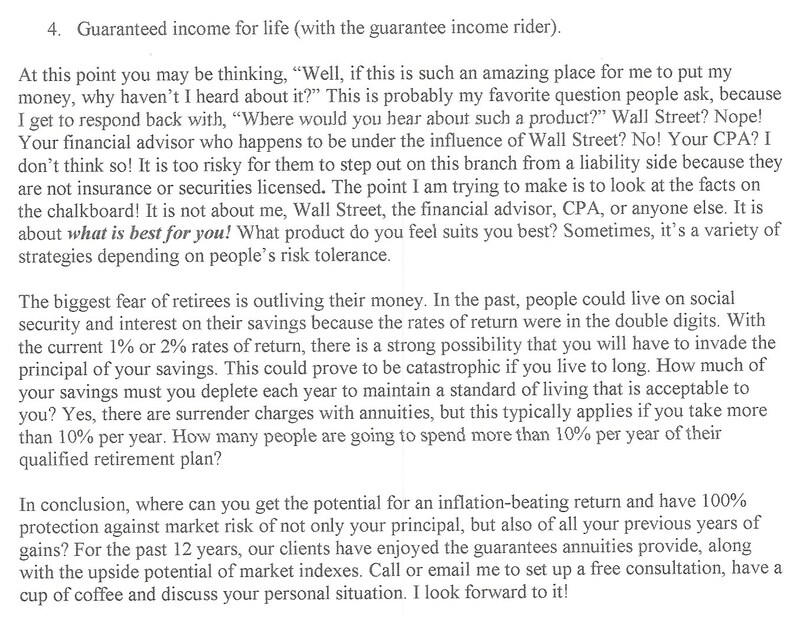 Guaranteed income for life (with the guarantee income rider). At this point you may be thinking, “Well, if this is such an amazing place for me to put my money, why haven’t I heard about it?” This is probably my favorite question people ask, because I get to respond back with, “Where would you hear about such a product?” Wall Street? Nope! Your financial advisor who happens to be under the influence of Wall Street? No! Your CPA? I don’t think so! It is too risky for them to step out on this branch from a liability side because they are not insurance or securities licensed. The point I am trying to make is to look at the facts on the chalkboard! It is not about me, Wall Street, the financial advisor, CPA, or anyone else. It is about what is best for you! What product do you feel suits you best? Sometimes, it’s a variety of strategies depending on people’s risk tolerance. The biggest fear of retirees is outliving their money. In the past, people could live on social security and interest on their savings because the rates of return were in the double digits. With the current 1% or 2% rates of return, there is a strong possibility that you will have to invade the principal of your savings. This could prove to be catastrophic if you live to long. How much of your savings must you deplete each year to maintain a standard of living that is acceptable to you? Yes, there are surrender charges with annuities, but this typically applies if you take more than 10% per year. 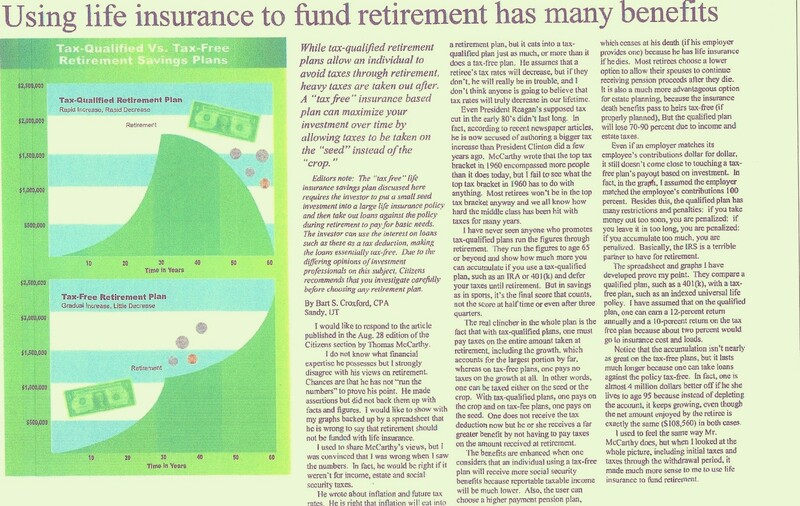 How many people are going to spend more than 10% per year of their qualified retirement plan? In conclusion, where can you get the potential for an inflation-beating return and have 100% protection against market risk of not only your principal, but also of all your previous years of gains? For the past 12 years, our clients have enjoyed the guarantees annuities provide, along with the upside potential of market indexes. 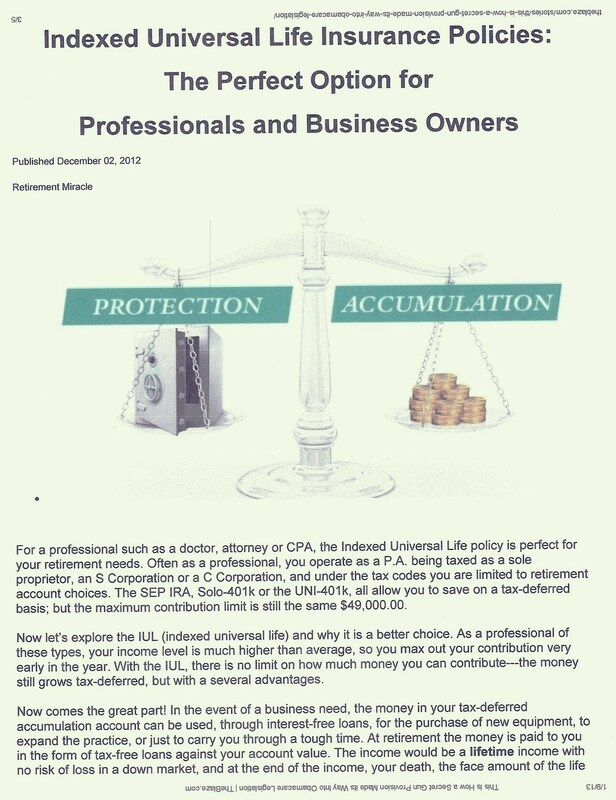 Call or email me to set up a free consultation, have a cup of coffee and discuss your personal situation. I look forward to it! Who will Bail us out Now??? Our Countries current economic position!!! Senior Services ~ Financial, Estate & Tax Consulting.